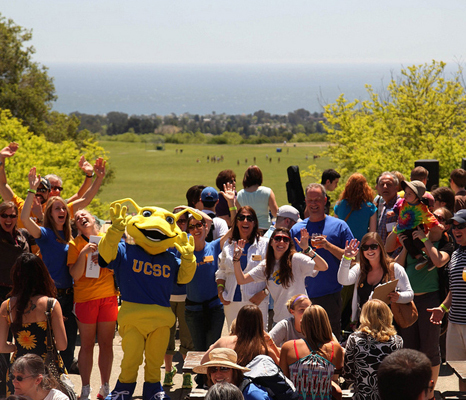 Windy conditions on UCSC's East Field on Saturday required a venue change for UCSC's annual "Day by the Bay" picnic. 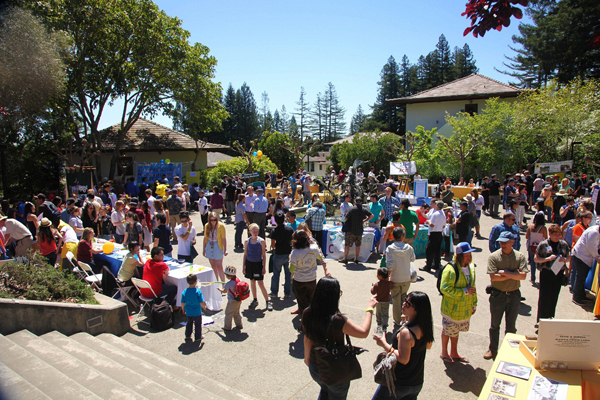 But the 1,500 people who flocked to the Cowell College Courtyard for the annual event found plenty of activities to enjoy: food, beverages, college and department exhibits, and plenty of spectacular student entertainment. Earlier in the day, UCSC alumni Michael Wilson, a pioneer in the emerging field of "green" chemistry, and Drummond Pike, founder of Tides Foundation, headlined the Intellectual Forum at the Humanities Lecture Hall. 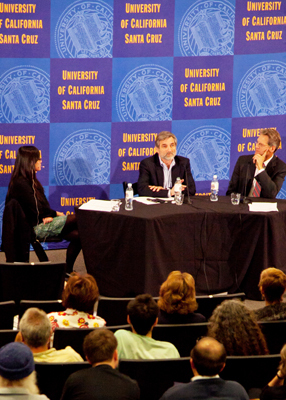 Kimberly Lau, provost of UCSC's Oakes College, moderated the 90-minute discussion, which focused on social change. Missed the forum? Check out a video of the discussion, provided by Media Services.